Twinkling Titanite is an Upgrade Material in Dark Souls 3. "Twinkling titanite for weapon reinforcement. Reinforce weapons steeped in strength to +4. These unique weapons cannot be reinforced with ordinary titanite, nor can they be infused. Unless one uses this twinkling titanite, which reinforces these weapons without unraveling their inherent strength." May be purchased from Shrine Handmaid for 15,000 souls each, once Dragon Chaser's Ashes have been given. 3x sold by Greirat of the Undead Settlement for 12,000 each after his pillage trip to Irithyll Valley. Receive 1x by trading a Prism Stone to Picklepum the Crow. Receive 1x by trading a Large Leather Shield to Picklepum the Crow. 1x drops from a Crystal Lizard outside and behind Firelink Shrine, accessed with the Tower Key or using the tree-jump trick. 2x at Road of Sacrifices: Drops from 2 Crystal Lizards, on the path between Crystal Sage and Cathedral of the Deep. 2x at Cathedral of the Deep: Drops from 2 Crystal Lizards, at the other end of the moat you can drop down to, right outside the Cleansing Chapel bonfire. 1x at Farron Keep: Drops from a Crystal Lizard on the walkway outside the Old Wolf of Farron bonfire, right next to the fake wall. 1x at Smouldering Lake: Dropped by a Crystal Lizard in a tunnel, near the lake entrance, that leads to the cave beneath the suspension bridge. 1x dropped by a Crystal Lizard, on the platform with the illusory staircase, near the Church of Yorshka. 1x dropped by a Crystal Lizard, behind an illusory wall in the first alcove, right before you reach the shallow lake. 2x dropped by 2 Crystal Lizards, outside the church just after Pontiff Sulyvahn bossbattle/bonfire. None is found at Anor Londo. 2x at Profaned Capital: Dropped by 2 Crystal Lizards near the bonfire, in the hallways that leads to the toxic swamp. 1x found at the bottom of the ladder that leads to the dual axe wielding knight, the painting, and an illusory wall. 2x on a corpse behind a mutated hollow, down in the ditch below the dragons. 2x dropped by a Crystal Lizard, on the path out of the ditch beneath the two dragons in Lothric Castle. 3x found in two chests side by side, next to the Boreal Outrider Knight near the dragons. 1x dropped by a Crystal Lizard, along with a Crystal Gem, at the top of the first staircase. 1x dropped by a Crystal Lizard, along with a Chaos Gem, in the dark room past the wax pool. 2x dropped by a Crystal Lizard in the dark room past the wax pool. 2x dropped by a Crystal Lizard behind a bookshelf, above the dark room. 1x dropped by a Crystal Lizard, along with a Refined Gem, right before the roof section. 1x dropped by a Crystal Lizard, along with a Sharp Gem, on the roof near the second gargoyle. 1x dropped by a Crystal Lizard, along with a Heavy Gem, on the roof near the second gargoyle. 3x found in a chest at the bottom of the ladder, after traversing the rafters below the roof. None is found at Untended Graves. 2x on a corpse down a ladder, in the second room you get to during the Ancient Wyvern bossfight. 2x on a corpse at the end of the plank walkway past the point where you can plunge attack the Ancient Wyvern. 3x dropped by a Crystal Lizard, right before encountering the second wyvern. 3x dropped by the second wyvern, along with 3 scales and 6 chunks. 3x found in a chest, at the bottom of the ladder that leads up to the Havel Knight. One dropped by a Crystal Lizard on the tree roots used to descend into the Depths of the Painting bonfire. From the Ariandel Chapel bonfire, break the bridge and go down. It should be in clear sight between the first and second Follower. Most of the time it commits suicide. One dropped by a Crystal Lizard on the higher stone bridge in the Corvian Settlement, leading into a Corvian with claws that drops down in front of you. From the Snowy Mountain Pass bonfire, head back where Vilhelm was, exit the building, go right and up the ladder, cross the roof and it should be on the left by the stone bridge. 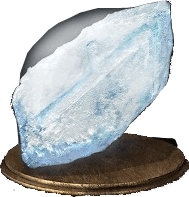 One dropped by a Crystal Lizard behind the illusory wall in the basement of Ariandel Chapel, the one leading to the Dunnel area. The drop rate from Rock Lizards in Archdragon Peak is actually pretty high. It's not uncommon to get 2-3 drops in one run, by only farming the 6 lizards between the Great Bellfry bonfire and the lone tower, with a decent item find. It costs 225,000 Souls to purchase 15 twinkling titanite, which is the required amount to upgrade to +4. Most of the weapons from the Ringed City require Twinkling Titanite as well (the 3 Ringed Knight weapons, Ledo&apos;s hammer, Aquamarine dagger, White Birch bow, Crucifix of the Mad King, Preacher&apos;s Right Arm). if you can&apos;t get to Archdragon Peak yet, fight Hobbled Clerics in the Ringed City. It can take some time but they definitely drop Twinkling Titanite. With the Covetous Silver Serpent Ring +3 you can farm the infinite-respawning knight at the second Archdragon Peak Bonfire for 5,400 souls. Every 3 kills buys you one Twinkling Titanite from the Shrine Handmaiden. With the Dragon Tooth I can kill him once every 30 seconds indefinitely, so thats a Twinkling Titanite every 1 minute and 30 seconds. "Picklepum the Crow". No, no. That no Pickle Pee. That no Pump-a-Rum. Not sure if it&apos;s only me, but I often find 4 twinkies in Ariandel; there are actually 2 lizards behind illusionary wall leading to Dunnel, second one is just to the right when you enter the room. Wiki is lacking in info its kinda sad cause your letting alot of players down. Also can be bougth if you return the Dragonchaser&apos;s Ashes to the Shrine Handmaid. I can find only 8 in Lothric Castle :(Where are these two:2x dropped by a Crystal Lizard, on a walkway behind the dragon. The right dragon when seen from the Dragon Barracks bonfire. Can we get a list of all weapons upgraded by this? Is there limited twinkling titanite? god there are way to less Twinkling Titanite avaible outside of Archdragon peak ...isnt there any other way to farm it bevore end game? 3 inside chests in the room to the left of the dragons guarding the bridge. Got one off of the crystal lizard in the upper part of Catacombs of Carthus as well, the one on the ledge that runs off.